In my prior post on how to become an Amazon seller, I described selling your household junk and making money through Fulfillment by Amazon (FBA). However, what if you actually don’t have any junk (I know, hard to believe) or eventually run out of stuff to sell? Granted, you could scope out store closeouts and clearance sales for extra inventory. But that method is hard to perfect into a viable monthly income and also relies on you living in a large city. The other difficulty with this approach, which has also been termed ‘retail arbitrage,’ is that many companies have legal barriers in place and do not allow or severely limit the reselling of their merchandise. That leaves you with a third option with selling on Amazon (and other outlets): Create your own product and have it produced by a domestic or overseas manufacturer. How can you get started on this process? Finding a manufacturer, whether in or out of the country, is a painstaking process. However, it’s best that you don’t rush with this step. Much like attending a university or buying a stock, getting involved with a manufacturer is a large and possibly long-term investment. You will end up spending thousands of dollars on your manufacturer, so don’t be hasty with your decision. Trade shows are a great place to become acquainted with manufacturers and to also get manufacturers interested in you. If you have a product prototype ready, showcasing it at a trade show can accelerate the business conversation between you and a potential manufacturer. Where can you find trade shows? Check your local convention center’s schedule, for starters. If you’re part of any kind of professional or business association or club, ask your colleagues for referrals. You can also call associations and simply ask them for recommendations to product-affiliated conferences and trade shows. However, you don’t even have to dig for information in the “real” world; the online resource Expo Database lists trade shows all over the U.S. and worldwide. Another good resource is BVents, which lists business events around the world. This global trade site is probably the best known and many suppliers and buyers contact each other through this portal. When researching potential manufacturers, select those that are labeled as ‘Gold Suppliers,’ which means that they have met certain quality criteria. Specifications for working with a manufacturer are listed below and include such information as pricing, lead time, minimum production quantity, etc. This site verifies and lists mostly Chinese and Indian manufacturers. You don’t have to go to China for product production; this administrative site helps U.S.-based inventors and companies produce their goods in Mexico and handle such matters as taxes, accounting, customs, etc. This site not only provides information on all kinds of manufacturers (domestic and overseas), but will also help you with additional product design, tooling, spec definition, etc. if needed. You can also request that only local and/or domestic manufacturers be used and quoted. If you end up working with an overseas manufacturer, try to select one that offers a free on board (FOB) package. This means that the seller (i.e., manufacturer) is responsible for sourcing the materials, producing, packaging and shipping the product, and arranging for customs clearance as well as transportation in your country. Click here full a full list of FOB definitions (and nuances). In product manufacturing lingo, there is the sample and the run. Samples are what you obtain when you initially contract with a manufacturer and lay out your plans for your product. The samples may or may not be usable and usually need to be improved upon or even overhauled. 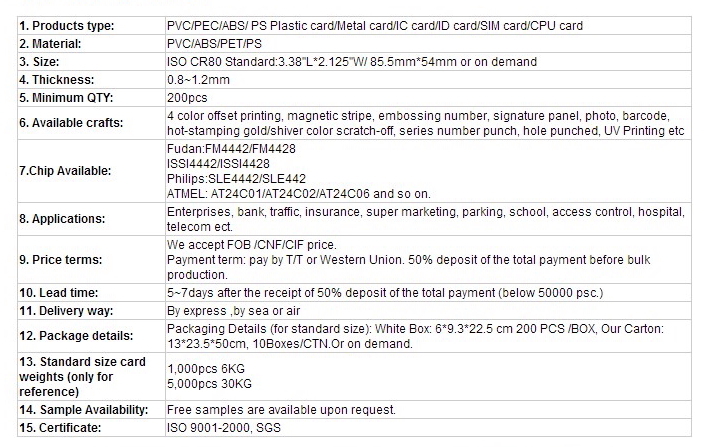 Thus, you need to think of samples as (depending on the manufacturer’s terms) free or paid-for scrap product. Runs follow samples and are the product manufacturing that you actually pay for. They typically consist of large, finished product orders that start at a thousand units and go into the millions. Ideally, you want to find a manufacturer that will allow you to produce the smallest run (i.e., minimum) possible; the drawback to doing so, of course, is that smaller runs cost more per individual unit. You don’t want to end up with 5,000 corkscrews that pop off someone’s eyeball as well as wine bottle cork. Before you place a large run with any manufacturer, check the safety guidelines of your product by referring to the Consumer Product Safety Commission or CPSC. This is going to be especially necessary if you’re dealing with an overseas manufacturer that is unfamiliar with U.S. product safety regulations. The considerations mentioned above provide you with a good introduction to manufacturing; however, you should familiarize yourself with manufacturing terms and definitions prior to contacting a specific manufacturer. A good site for doing this is ExportBureau. Why is it important to become extremely familiar with manufacturing terminology? Aside from ensuring that you’re not ripped off or get stuck with unsaleable material, there are also the legal considerations of product manufacturing (e.g., mold/pattern ownership). Learning who owns the rights to the product as well as its eventual iterations can mean the difference between you making a few bucks now on your “big idea” versus making thousands or even millions or dollars down the line from your big idea’s eventual improvements and second or third generation products. As you set up to work with a manufacturer, you might have doubts or misgivings about shipping work overseas versus supporting the U.S. economy by adhering to “Made in the U.S.A.” manufacturing. This is certainly a personal decision and there are pros and cons to each argument. With domestic production, you’re more likely to better negotiate with your manufacturer and remain confident that the site adheres to national safety regulations. On the flip side, overseas manufacturing is almost always cheaper, helping you make a reasonable profit on your product. I want to do what you do and I have been looking into it for a while and researching. I have a list of products I’m considering and I was searching for domestic suppliers when I stumbled upon this page. I love what I read and I thank you for all your help.